Euro vs. Dollar Gold Monitor Subscribers can access a wealth of information through the Members Lounge. The Lounge also links to services open to non-members. Our Business and Gold Articles page has links to gold-related editorials written by Alex Wallenwein as well as links to outside news articles that impact small business owners. 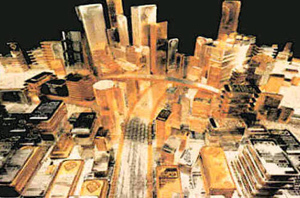 For current charts of Gold & Silver Spot Prices, please visit this page. Links and resources related to the International Ratings Scandal can be accessed from this page. To understand what the ongoing and worsening international credit crisis, is and what it does to your finances and investments, please read Alex' editorial, Credit "Crunch" - or Credit Collapse?. If you are new to the world of free-market thinking and investing, reading "What's a 'Dollar', Really?" is an absolute must.